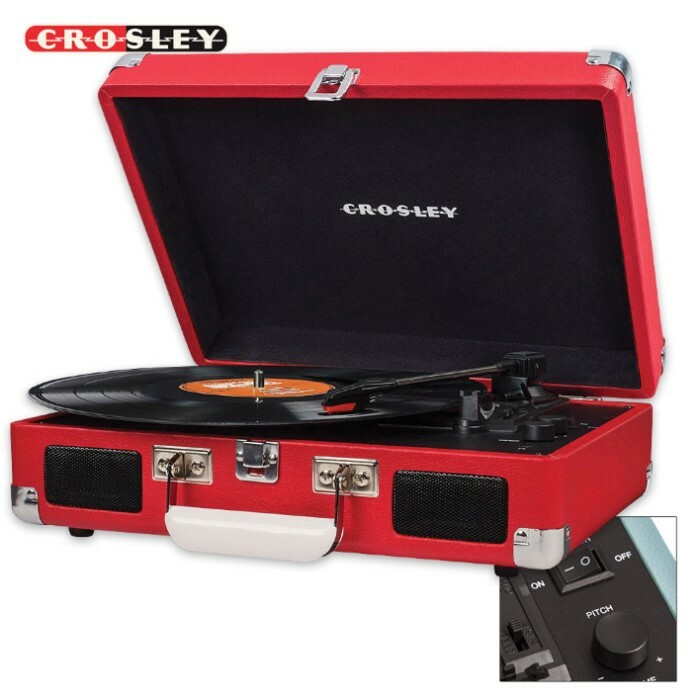 Crosley Cruiser Deluxe Turntable - Red | BUDK.com - Knives & Swords At The Lowest Prices! 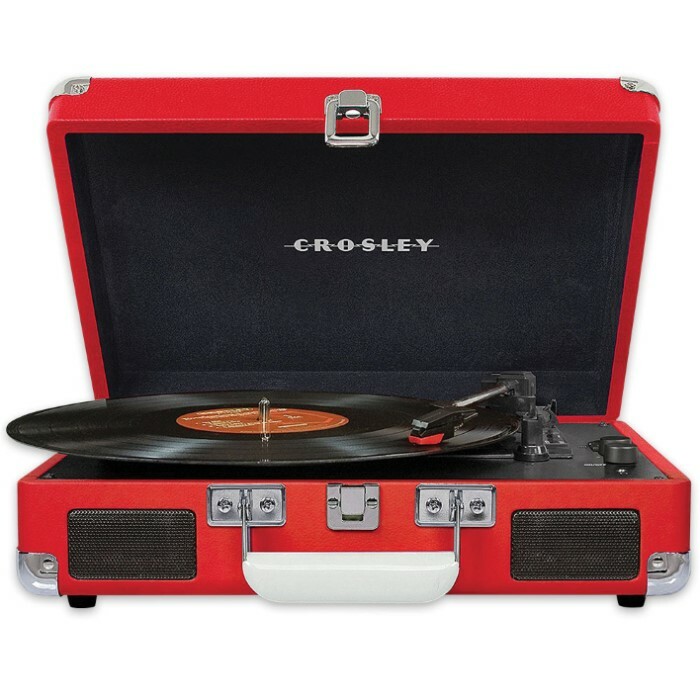 The Crosley Cruiser Deluxe Turntable really rocks its charming red suitcase-style shell! Dial in your record’s speed with advanced pitch control adjustments and be prepared to be blown away at the sound quality. Also, easily sync to the Bluetooth connection and stream digital music right through the built-in speakers. Have one-on-one jams with the headphone jack or add powered speakers through the RCA ports to blast out loud wherever you go. Start your vinyl adventure with this portable three-speed record player today!